The buzz word on social media these days is ‘Periscope’. This tool lets you watch and broadcast videos from an iPhone or other Apple gadget. In a way, it’s like a visual Twitter because it gives you instant access to watch whatever someone is broadcasting in real time. One of the biggest benefits of Periscope is that people can follow you and be notified whenever you start broadcasting something. There’s no uploading video content and hosting it on another site, it’s a real-time live-feed of whatever you are experiencing. In order to start using Persicope, you will need to download the programme from the iTunes store. While it’s currently limited to iGadget users, we hope it will be available on Android and other platforms within the next few months. 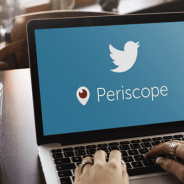 You need a Twitter account to use Periscope, so if you don’t have one yet – create one. If you already have a Twitter account, you can sign in with your Twitter username and password. You don’t have to use the same username for your Periscope account (you can change this once you have downloaded the app and logged in via Twitter), but it would be a good idea to keep them similar so that followers can recognise you on the different platforms. You will then be prompted to follow people on Periscope. It’s still a new platform so you will probably have to follow and unfollow quite a few people in order to determine who is worth following. Instead of ‘Likes’ and ‘Favourites’, Periscope uses a heart symbol to measure the popularity of video streams. This is still a new platform, but we are really excited to see how things develop and start using them to help our clients market their businesses. If you need help with your social media strategy, contact us today.